A while back I was asked to do an interview on timeboxing for a Harvard Business Review book. They didn’t end up using it. 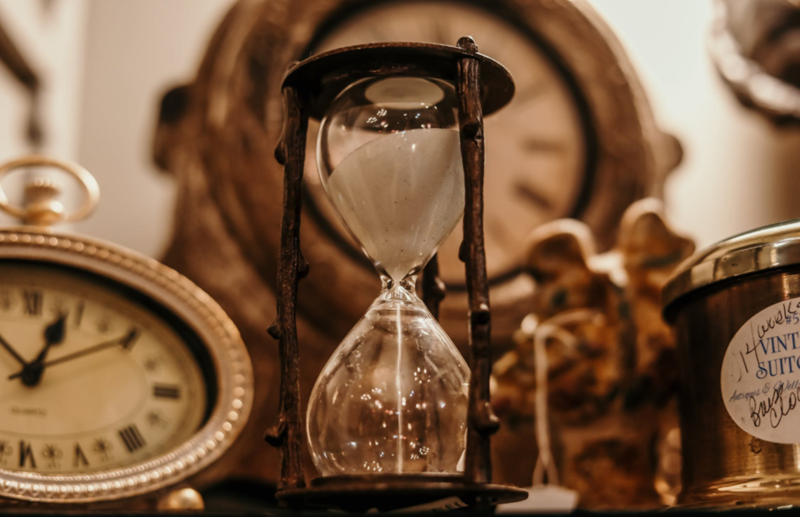 It might be just as well since I think it works better as a blog post, especially if you have a passion for learning how to use timeboxing to help you master time management and get great results. One of the interesting points is that when I originally wrote answers to the questions, I gave myself a 20-minute timebox to answer as best I could within that timebox. So my answers were top of mind, raw, and real. I simply wrote what came to mind, and then offered to follow up with a call if they needed any elaboration. 1. How do you personally use time-boxing in your working life? Has it helped you overcome procrastination? I use timeboxing as a way to invest my time and to set boundaries. It’s probably one of the most effective tools in my time management toolbox for making things happen, as well as enjoying the journey as I go. I find this to be true. I often use timeboxing to set boundaries because when something is unbounded, it’s easy to make it bigger than it needs to be. And when it’s too big, it’s easy to procrastinate. To overcome procrastination, I simply ask myself, “How much can I do in 20 minutes?” (20 minutes is an effective chunk of time I learned to optimize around in college.) Using 20 minute timeboxes helps make it a game, and it gives me a chance to improve my efficiency. I’ve learned to tackle many problems using 20 minute chunks. So I might do a quick version within a timebox to be “good enough for now”, but in another timebox I’ll make another pass to take it to the next level. This way I am learning and improving, but never getting bogged down or overwhelmed. 2. Some say time-boxing helps you find balance in your personal life – enabling you to properly balance periods of work and rest. Do you find this to be true? How so? Timeboxing is probably one of the best ways I know to find balance. When we’re out of balance, it’s usually because we’re either over-investing in an area or under-investing in another. For example, I like to think of spreading my time across a few key areas of investment: mind, body, emotions, career, money, relationships, and fun. Maybe I’m over-investing in an area, such as career, in which case, I might cut back 60 hours to be 50 hours or 50 hours to be 40 hours, etc. for the week. Setting these minimums and maximums when I need them help me establish better boundaries, even if they seem arbitrary. They are way more effective than going until I run out of energy or burn out or get too tired, and they are way more effective than when I completely ignore or forget about an area to invest in. Even just asking the question how much time are you investing in one of the areas helps you start to pay more attention to what counts. 3. How does time-boxing boost your efficiency? Timeboxing can help you stay focused, as well as set a better pace. For example, maybe I can sprint for a minute, but not for five. When you put a time limit in place, you effectively designate the time to be fully focused on the task at hand. If you use small timeboxes, then you can effectively treat your task more like a sprint versus a marathon, because you know it’s short-burst. One thing that’s important to keep in mind is that it’s easy to fatigue the deliberate thinking part of our brain. If you’ve ever felt like your brain hurts or you need a break from concentrating on something, then you know what I mean. Rather than “march on”, in general, you are more effective by thinking in bursts and taking little breaks. Some people say take breaks, every ten minutes, others say take breaks every twenty minutes or forty minutes. I’ve learned that your mileage varies, and what’s important is that you have to test taking breaks at intervals that work for you, and you will likely find that it largely depends on the type of task and your level of engagement. 4. Do you find time-boxing to be a good motivational tool? The beauty is that with timeboxing you can turn any task or goal into a game. Going back to my earlier example, where I see “How much can I do in 20 minutes?”, I can treat this like a game of improvement. I can try to do more each time. I can also play the quality game. For example, I tend to use a timebox of 20 minutes to write my blog posts. If I’m playing the quantity game, then I might see how many little ideas I can come up with to say about the topic. If I’m playing the quality game, I might see how I can take one little idea and elaborate on it, and give myself enough time to wordsmith and tweak the fine points. On a daily basis, I tend to use my “power hours” for getting results. My power hours are the times in the day in which I am “in the zone” and firing on all cylinders. I find that I tend to be my strongest at 8:00am, 10:00am, 2:00pm, and 4:00pm. I use these power hours, these one-hour timeboxes, to tackle my toughest challenges and to move the ball forward. Once I realized these are my most powerful hours, I started to guard them more closely and use them to produce my greatest results within the shortest amounts of time. Using my power hours to get results helps me exponentially improve my productivity. Rather than something dragging on, I can blast through it pretty fast. Simply by using the same time I already spend, but by reshuffling my work around, has been one of the greatest game changers in my personal productivity. I’ve also extended this to teams as well. I do so in two ways. First, I make sure that people on the team know their power hours and use them more effectively. It sounds simple, but it’s highly effective for keeping the team moving forward, embracing the results, and using their power hours. I’ve experimented with longer meetings and different times of the day but I found this “Ten at Ten” strategy to be the most effective. Following this meeting, since I’m in my natural “Power Hour”, I can then throw my energy into debottlenecking the team or moving some of the tough rocks forward, or pairing with somebody on a key challenge they are facing. 5. Is it possible to use time-boxing to get done what you need from others? I think when it comes to getting others to get done what we need, we hit on things more than timeboxing. For example, one key to getting something done from others is to have them “sign up” for the work, versus “assign the work” to them. If they are part of the process, and you have buy-in then they will naturally want to do the work versus resist the work. It’s also important to have the person that will do the work, estimate the work. This helps set expectations better as well as account for how long the work actually takes. Sometimes there are deadlines of course, but if it’s about having somebody sign up to do their best work, it’s important they have a say in how long it should take. This improves personal accountability if they internalize the schedule. If we assume somebody wants to do the work, then the next thing to focus on is when will it be done? This is where timeboxing comes into play. If you’re working within a timebox, then you can work backwards from when it’s due. For example, aside from timeboxes within the day, I also think of timeboxes in terms of a day, a week, and a month. Beyond the month, I tend to think in terms of quarters. If I need somebody to do something for me, I now make it a habit to tell them when I need it by. I used to make the mistake of just asking for the work. This makes it easier for them because they see what timeframe I’m operating within. Here is the art part through. Sometimes people think they can’t do the work justice within the timebox, so what I do is I set reset expectations and help them see the minimum types of things they might do within the timeframe. For example, if I need quick feedback on something, I’ll let somebody know that I just need high-level or directional feedback at this stage, otherwise, they won’t think it’s reasonable to do a detailed, comprehensive review, which is not even what I want at that stage. That’s another reason why timeboxing can help. They force you to put expectations on the table and get clarity on what’s good enough for now versus what’s the end-in-mind, and how to chunk up value along the way. I do think one of the most powerful tools for any longer-term project is milestones. Chunking up the timeline into meaningful milestones helps everybody see key dates to drive to. Effectively, this also chunks up the project into smaller timeboxes or windows of time. It then becomes easier to focus on identifying the value within a particular timebox to reach the milestone. The other advantage of this approach, when it comes to driving results from others, is that you can do milestone reviews. People like to look good in front of their peers, so it naturally encourages them to do the work, to be seen as reliable and effective. That’s really timeboxing in a nutshell. It’s simply treating time as a limited resource, and setting limits (both minimums and maximums) to help you stay balanced, stay focused, and get great results.